Attached is a PDF containing my thoughts about random trading, largely inspired by Mystic's thread and podcast interview. It would be great to hear people's responses, especially if you can spot flaws in my argument. negate small gains and large losses will negate large gains." I'm not sure about this statement. If the game is rigged to your disadvantage then this may not happen. IMO it depends on the distribution function. If it skewed positively then you have a chance of making money with random trading. This article that was posted before is about the positive skew of SPY and the high chance of profitable random trading in that market. The problem is that distributions are known after the fact. Thanks for reading. I'm not sure about my statement either - in fact I'm not sure about the whole argument. One simple problem with what I say there is that days with outlying ranges tend to be down days (crash scenarios) in certain markets. Another problem is that there are very good fundamental reasons for expecting certain markets such as SPY to exhibit a long term uptrend (caused by smaller but more frequent up days). One possible solution to this is to "tune" the degree to which randomness dictates trading decisions (i.e. skew the distribution of outcomes or "weight the coin"). Another is get closer to the noise by applying the concept using smaller timeframes. Both of the above obviously entail new problems all of their own. As soon as you apply the concept I describe in the PDF though, does any of the above matter? Some instances of the strategy will benefit from the skew, whereas others won't; the former enjoy increased position size to generate a net profit. Hope I've understood you correctly. I personally do believe markets are not moving randomly otherwise consistant profits could not be made......even if only a pattern is becoming repetitive and the rest is random, still means the "randomness" label can't be applied there. I agree with you - I don't think markets are random either, not all the time, but . . . if they were I think they would be far easier to trade, not more difficult. It is natural to associate "random" with "unpredictable", but this is a mistake. Random price movements conform to predictable distribution models. I will toss an evenly weighted coin multiple times. If there are five heads in a row, Player A receives £200. If there are not five heads in a row, Player B will receive £20. Who would you sooner be, Player A or B? I look forward to your response . . . Depends which player is Goldman Sachs. There are no evenly weighted coins in the market. Apart from greed,corruption and fraud "logical" thinking is what caused the huge losses in the first place. Now consider another game. A market will either tick up or down with each trade. If there are five consecutive up ticks or down ticks, Player A wins £200. If there are not five consecutive upticks or downticks, then Player B will receive £20. Who would you sooner be, Player A, or Player B? Assume the crowd are just a bunch of random people in a shopping centre (or "mall", for most of you) . . . I would be willing to bet that the next person to walk up to that karaoke machine was a worse singer. That's regression to the mean. To identify something as random is in itself and of itself (not in any random order) a definable and quantifiable pattern.In deciding that the next person" is random is system bias of a potentially destructive (to one's account :crap:) nature. One can see the flaws within the universally accepted EW pattern of 5 random girl singers followed by 3 potential boyband rejects as a paradigm of shopping malls not envisaged by the original architects who built the emporium..mall...shopping centre..whatever....just one thing not considered in your original pdf. One must always seek to go beyond initiation thoughts..they are simply the spark needed to light the match..practical application however may require several shifts in perception as to what is meant by "random"
And..when confronted with a gift horse (particularly a blue one :rofl:) force it's jaws open and take a damn good look inside before betting the farm. I wouldn't worry about that - I'm surprised the thread ever re-surfaced! Whether price is random or not doesn't really have too much to do with the original point I was trying to make - assuming that it is (I don't) is just the easiest way to present the concept and removes the possibility of any objection on the basis of a trader's inability to predict prices (which, ironically, is the argument you're now trying make in reverse!). The thread is posted under "Money Management" because that is what it is about. Rather than applying a position-sizing formula to a portfolio based on the net profitability of that portfolio, it may make sense to apply the position-sizing to each strategy or market individually, based on the net profitability of that strategy or market. This can include situations where the strategies are applied in the same market, and even those where they are applied simultaneously so that, in single contract terms, they are completely neutral (pre costs). I'm far more interested to hear reasons why this money-management approach is flawed than I am in discussions about whether price movement is random. The BH is a contract that is very similar to the ES. It exhibits the same volatility and the contract value is identical. When BH moves 1 point, you stand to make or lose $50, just as with the ES. You have a strategy which you may trade in either or both of these contracts. Fast forward 1 year, and the returns for each market are now as follows . . . The trader who decided to only trade the BH, where historically the strategy had been profitable, has lost 20%. The trader who decided to trade single contracts in both the ES and the BH has broken even. The trader who decided to trade both the ES and the BH applying a fixed fractional money management approach is (roughly) breakeven. Though the profits from the ES would have allowed larger position sizing, this would have been reflected in the position sizing for both markets, so the losses in BH would also have been correspondingly larger. The trader who began trading single contracts in each market but increased position-size for each particular market based on the strategy's profitability in that particular market should show a net profit. His single contract returns for ES would be negated by his single contract returns for BH, but he would have been trading multiple contracts of ES, leaving a net profit. I have described what is hopefully a worst-case scenario again here; if you think you have a great strategy, then maybe it would have made 50% in one market and only lost 2% in the other, or whatever . . . The outcome for a strategy isn't based on all of the price change of the instrument it is applied to - all that matters is the price change at those times when strategy and price intersect (when you have a position) - call that limited set of prices Data Set A. If a second strategy intersects with different prices and we call these prices Data Set B, then when you compare Data Set A and Data Set B you will have two different sets of price, which is pretty much the same thing as having two different markets. Hence exactly what I have described above with the ES and BH could be applied with two different strategies in just one single market. Are you REALLY serious about making SUBSTANTIAL profits trading the financial markets? 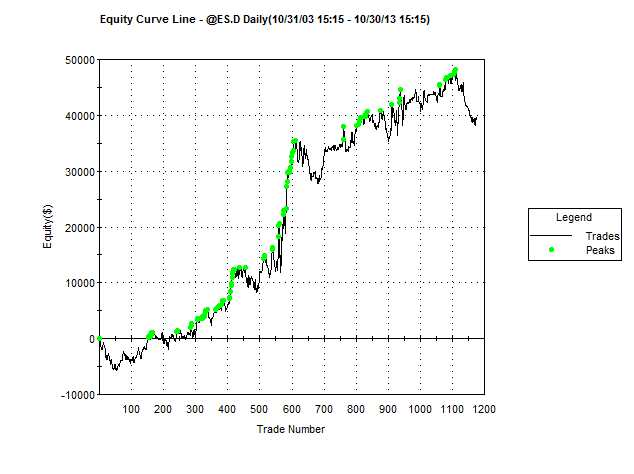 Then take a look at the equity curve for the AMAZING trading strategy below . . .
Wouldn't you love to be able to trade with this FANTASTIC strategy that just keeps on WINNING? Imagine what these PROFITS would look like if you traded more than one contract or many markets at once!  ONE-TIME SPECIAL OFFER - NUMBERS STRICTLY LIMITED - GET THE STRATEGY AT A 20% DISCOUNTED PRICE OF JUST $3800 !!! Even though you've given out the code for free,nevertheless,can I still give you the £3800? I've been trading for 17 days now and have still not made anywhere near the 1k profit per day that Roger said I would easily make.When I questioned his hindsight trades on the simulator he ignored me.Then when I asked him to explain why he kept changing his "system" I was banned from the trading room after being sworn at and told that the system is not as important as the mental approach,and since Roger is mental himself and isn't a psychologist I feel............ confused. I'm still determined to find a mentor,anyone,prepared to rip me off in exchange for rehashing things they found on the internet but I can't find anyone who can keep a trading room running for more than 2 months without disgruntled customers threatening to sue them. All I want is a simple code like the one above so I don't have to use my brain.The last time I used my brain it hurt so much I swore I would never try thinking for myself again. Roger was almost the last straw. I like your idea of trading as many instruments as you possibly can at once so you don't lose potential profits by only successfully trading one or two.It's this kind of mental approach that separates the theorists from the wannabe traders.Are you planning to start a room soon? If so,is the room inc in the £3800 fee? Not sure I like your tone . . . I like your idea of trading as many instruments as you possibly can at once so you don't lose potential profits by only successfully trading one or two. The "idea" isn't diversification. It's applying position sizing to individual markets/strategies rather than to a whole portfolio. If you don't think that idea has merit but you're not prepared to provide concrete reasons for why, then any kind of discussion will be difficult. It's this kind of mental approach that separates the theorists from the wannabe traders. I enjoy theory. I spend a lot of time looking at theoretical trading methods around market microstructure that I know I'll never have the capital or technology to do anything with. I'd also like to apply my longer term ideas to trading a large universe of stocks, but I don't have the capital so the costs would kill me. So it's all just theory for me. I also trade. End of day. Not automated, but entirely rule based. One single approach. It's very boring. What I have described above is incorporated into what I am doing - past performance in each particular market is a factor in position sizing for me. Are you planning to start a room soon? Nope. Just trying to share ideas with other people here for free and hopefully get some feedback from those with more knowledge and experience. Just the usual. Nothing sinister. If people don't find it useful then it's no big deal - it's just a way to pass the time . . .
Gorgeous curve! Comes with a cold and hard slap of the invisible hand of reality too. What amused me was that I thought I'd would have to keep running the code and eventually it would produce a nice looking curve. But the "gorgeous" curve came on the first pass - then none of a further twenty or so attempts produced anything even halfway decent. Now what were the chances of that? You'd be doing new and losing traders a huge favor by publishing that statistic. Your original post on this thread is probably one of few intelligent things I've ever read on any trading forum in over a decade. If your not already making a fortune trading at this point, it won't be long until you will be. I remember a thread on TS that people were posting their most vertical equity curves from backtesting. It was a fun thread. I recall a few resulting in billion dollar gains starting with 10k. Timing is critical with random entry since you are relying on luck. If you go to a casino with $180 intending on playing $5 on your birthday number on a roulettle wheel, how different will the results be if you arrive at 8:00PM or 9:00 PM? If you play at table A or table B? If you go today or tomorrow, etc? If you have your favorite shirt on or not??? How different would it be with a 10k marker? Unfortunately I can't provide this statistic . . . I didn't record it at the time, and now there is no way that I can recall the trading decisions that this particular instance of the strategy enacted, as they were random. Having said all that, I imagine that the equity curve made new highs little of the time as you suggest. Single unit equity curves, whether profitable or not, spend most of their time regressing towards a mean. New traders may struggle with this, but so do others. This thread is not posted in Trading Psychology, but . . . I have issues with this. I don't suffer from any excessive egoism. I am not someone who is obsessed with being a "winner". I trade an entirely mechanical approach with no discretionary decisions for which I am "responsible". Due to the self-learning methodology I employ, elements of the strategy are completely 'hidden' from me (I really have little idea of the specifics of what the strategy is doing, beyond the broad strokes). But I can still watch a position and end up massively frustrated. Why? In my case, I got someone else to place the trades. I pretty much ignore it all. They don't care, so they follow the radar screen I gave them. To them, it's all OPM. I don't check the account balance (different broker to TS, who I use for charting). I follow the ES and EC more closely intra-day, so I have a good idea what these are doing, but I have no idea about my likely position in timber ETFs or REITs, say - maybe I'm long, maybe I'm flat, maybe I'm short . . . maybe I'm rich, maybe I'm broke . . . .